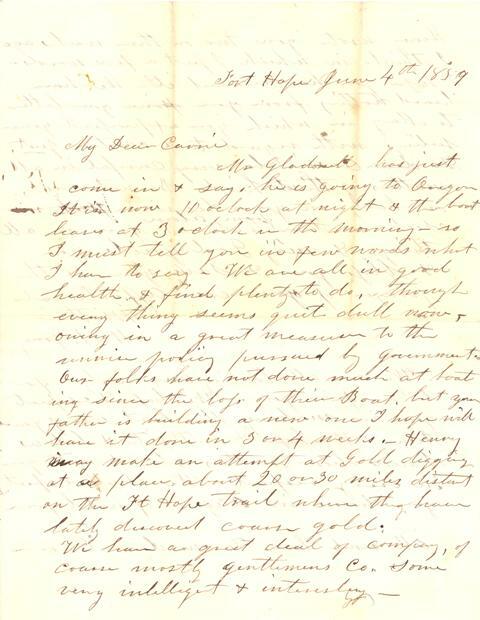 To see the finding aid for this collection, please consult the catalogue record. For help using archival collections (including links to tutorials to help you learn to read old handwriting!) 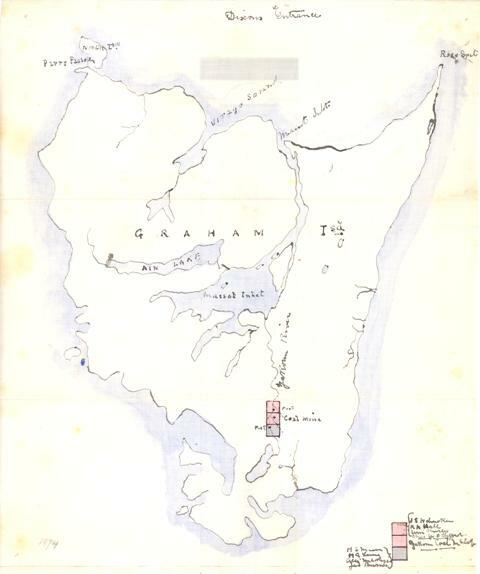 please see our Archival Material Research Guide. Our featured place this week is Stewart B.C., which is a border town near the end of the Portland canal and the border of Alaska. Forestry and mining are the two main industries of the area, mining being what prompted white settlers to the area in 1898. 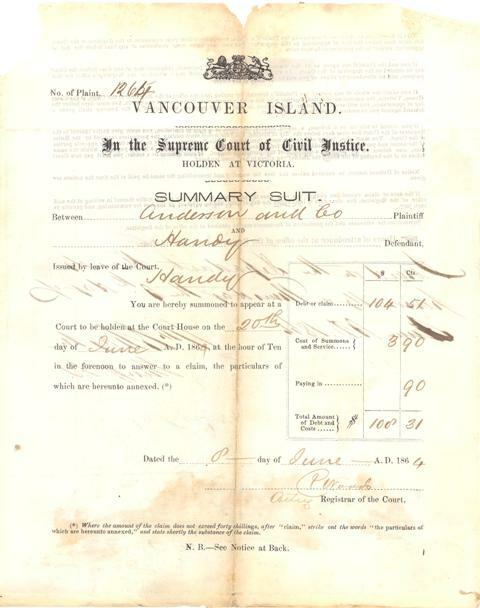 The Nisga’a First Nation called the Stewart area Skam-A-Kounst, meaning “safe house” or “strong house.” Stewart is named for the Stewart brothers from Victoria, who held interests in a number of mines in the area at the turn of the century. 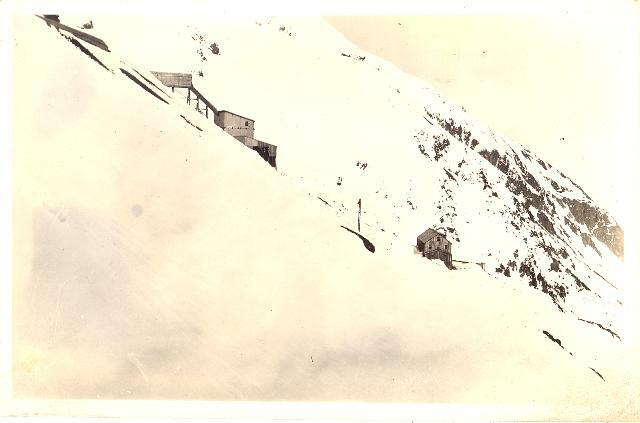 This snowy photograph was taken in 1933 at the Porter-Idaho mine. This aerial tram line was built in 1928 to run from the mouth of the Marmot River up Mount Rainey to the mine. In the Barber Centre, the Stewart room is room 184, a meeting room on the first floor. To learn more about our historical photograph collections, you can consult our Historical Photographs Research Guide. A reminder that all UBC Libraries, including Rare Books and Special Collections, University Archives and the Chung Collection will be closed for Thanksgiving Monday (Oct.10). 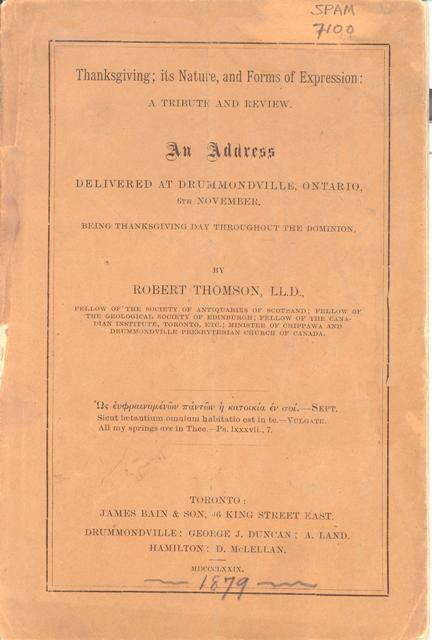 The image below is the cover of a “Thanksgiving address” given by Robert Thomson in 1879 in Drummondville, ON. You may notice that in the late 19th century, Canadian Thanksgiving was, like its current American counterpart, celebrated on a Thursday in November. This item is from our SPAM (Special Collections Pamphlets) collections. You can read more about these collections in our Ephemera Research Guide. The Chung Collection room and King James Bible exhibition have re-opened. Our apologies for the inconvenience this closure may have caused. The Chung Collection exhibition room will be closed on Tuesday Oct. 4 for repairs. Please note that this closure also affects the King James Bible exhibition. We are sorry for the inconvenience. Please check back for updates. Cross-posted with the Chung Collection News blog.